The Carole Nash Classic Bike Guide Winter Classic was marked by several exceptional examples with the region’s two-wheel enthusiasts demonstrating their restoration expertise. Andy Baldwin, a Vintage Japanese Motorcycle Club member from Peterborough, saw off strong competition to claim the event’s coveted Best in Show award with his 1969 Suzuki T200 – a bike that he described as a ‘box of bits’ when he purchased it just over two and a half years ago. James Robinson, motorcycle journalist and a member of the judging panel, said: “We were all very impressed by the calibre of this year’s entries; there were some really stunning bikes on display, some of which were the finest examples of their kind you will see. 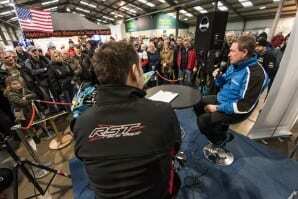 Andy himself explained: “The bike is a complete rebuild. Everything on it has been put together as part of the project which we finished around March last year. There was a Suzuki theme throughout the event with triple British Superbike champ John Reynolds in attendance as the event’s special guest of honour. 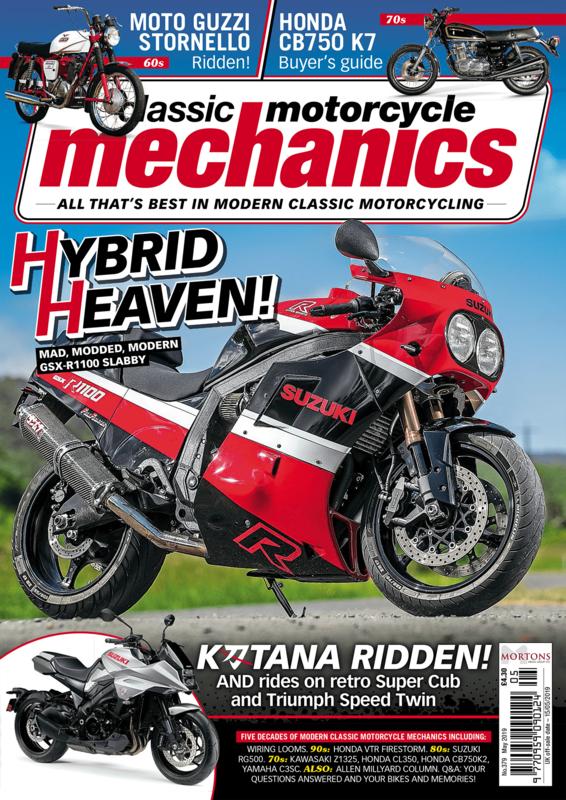 The Nottinghamshire rider still works at the Japanese manufacturer for which he rode in a variety of roles and shared stories from his career with TV presenter Steve Plater in four on-stage interviews across the weekend. The pair covered topics including the current state of BSB, John’s most memorable achievements and his toughest competitors. Newark Showground is already well-known for its autojumbles, with several large events taking place on various Sundays throughout the year, and trade stands packed the halls of this weekend event as visitors made the most of the bargains on offer. Completing the action was the Scooter World Hall which housed some exceptional machines of its own, along with the region’s top scooter clubs, a selection of traders and a handful of firing-up sessions. Harry Leyland, exhibition planner, said of the show: “It’s been another great year for our Winter Classic event and we just want to thank all those traders, clubs and exhibitors that made the effort to be here just after the busy festive period – they make the show what it is. Newark Showground opens its doors to bikes again this January with the next ‘Normous Newark Autojumble taking place on Sunday 25. 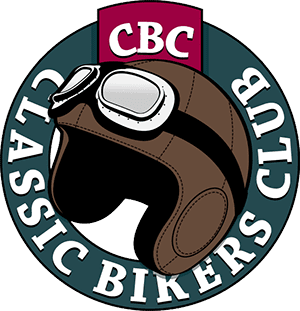 Classic bike action then heads south to the Carole Nash Bristol Classic MotorCycle Show taking place at Somerset’s Royal Bath & West on February 7-8. Attendance was up at Newark Show!